With a slight jolt to the ship, I was awoken quickly. Anxiously, I rushed to the small porthole that was inside my room. With one hand I firmly grasped the curtain and yanked it back. A rush of light blinded me, but slowly my vision came back and I couldn’t believe what I was seeing. Outside of my small porthole lied our first port in all of its glory: Casablanca, Morocco. Small buildings lined the sandy coast with visible desert on either side of the city. As I scanned the area I noticed a large minaret that dominated the skyline that belonged to the Hasan II mosque, a billion dollar structure. After stuffing my backpack with my camera, some snacks, and a water bottle, I was ready to fully embrace the adventure that lied ahead of me. Looking back, I mark this point as a new beginning in my life, as it is where I obtained my unquenchable thirst for travel, culture, and life. I shuffled onto a tour bus ready to go out and see the city. The first place that we stopped was a large market right in the heart of the city. As I got off of the air-conditioned bus, I can remember the hot, thick air piercing my lungs. Looking in every direction, nothing was the same as home, and I loved it. I remember feeling a rush as I was so excited for the rest of my journey to occur. People had warned me about “culture shock” and I had never believed in it until that very moment. It is something that cannot be described in words, but instead, needs to be experienced. We headed into the market and it was like something straight out of an Indiana Jones movie. To my left there were thousands of flowers with every color, shape, and texture imaginable. To my right, there were fresh fruits as far as I could see. As we preceded further into the market the food shops started to appear. 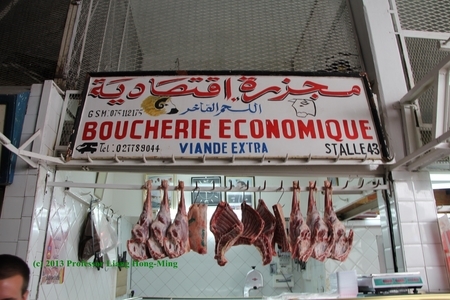 There were meat shops that consisted of beef, and horse, but no pork as the majority of Moroccans practice Islam. As it was time to leave the market, I was too busy taking in everything around me as well as taking a few to many pictures and I lost my group. I couldn’t believe it! Within the first hour off of the ship I had lost my group! I stayed calm and headed back to where I remembered the bus was and luckily found them. 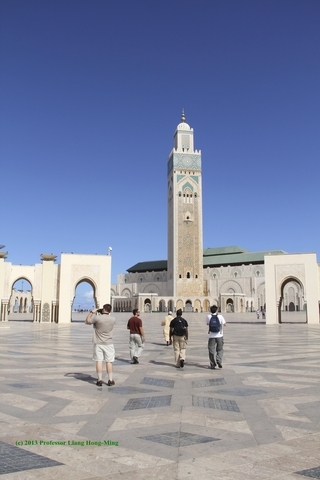 We then headed to the dominating factor of the Moroccan skyline, the Hasan II Mosque. As we went up to the door to enter the magnificent building we had to remove our shoes. The fifty foot tall doors swung open to reveal the most magnificent, elaborate building that I had ever seen. From floor to ceiling everything was either marble, crystal, or glass. From floor to ceiling was over one hundred feet tall. Every square inch of the mosque was decorated with different patterns or jewels. 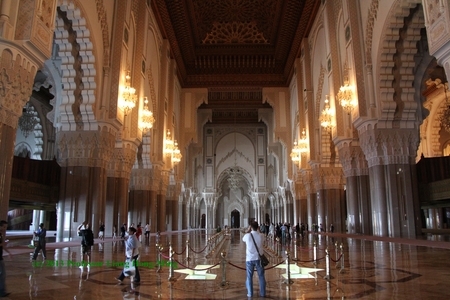 The mosque cost almost a billion dollars to build, so it was quite ornate. As we went through there were probably 50 of the most magnificent glass chandeliers that I had ever seen. In my entire life I had never seen anything to this scale so I couldn’t help but being awed throughout the tour. We headed to the end of the mosque that faced the sea and there were huge stained class windows that were probably each fifty feet tall. They let in different shades of light onto the floor of the mosque, which made it that much more amazing. We then headed down into the basement of the mosque where there were probably 50 small fountains in every direction. The tour was quite amazing, and afterwards we headed back onto the bus and stopped for some famous Moroccan tea before boarding the ship again. Afterwards, I went out with some new friends to explore what the city had to offer, including: restaurants, more shops, and camels everywhere! This was day one of five in the country that started my passion for travel. Looking back on the experience is amazing, but sad at the same time. It is quite hard to think of all of these experiences and not be saddened by them because they were so amazing and I know that I will never feel quite that way again. The people, culture, and images of Morocco are something that I will hold with me my entire life and I will never let them go. The memories are burned into my brain like a movie that you have seen a thousand times. I can literally play back many of them in my mind, and it still takes my breath away. 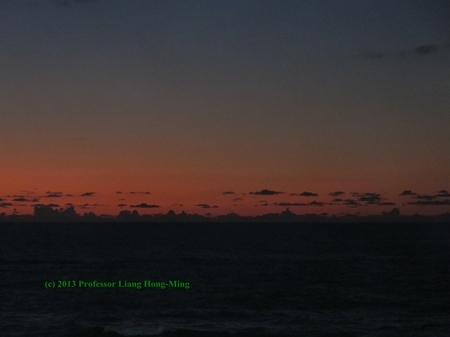 In my next journal, I will talk about traveling outside of Casablanca. I will write about my experience in Marrakech, a sketchy hostel, and a camel ride into the middle of the Sahara that showed me the most brilliant night skies I have ever seen. The link to my video of Morocco on youtube. It is completely fine with me if this is put on the journal. I would love for people to experience what I experienced and I find that video is the single best way for this to happen. After reading this article, and seeing how much fun you had, an the culture shock that you experienced, my desire to study abroad and travel the world is bolstered. Amazing pictures, and it is shocking that a building can almost cost a billion dollars! Everything you shared was amazing and it sounded like you had one of those “once in a lifetime” experiences. Thank you for sharing, I enjoyed watching the video and hearing about what you did. It was very interesting that you had to take your shoes off before going into the mosque, because it showed how much they respect it. John- This makes me want to travel and experience that first-time awe of being surrounded by a foreign culture. You describe it well, and I am sure Morocco will always be a special place for you. I am curious to know more about what your actual time spent on the ship is like and if you enjoy it. Good luck and safe travels! After reading this article and watching the video of your trip I can tell that you had an exciting and life-changing experience while traveling Morocco! I am planning to study abroad this summer and your article and video gave me some wonderful examples of how to document my trip. Thank you for sharing! Morocco seems like it must have been amazing! I would love to travel to a new place just as you have but sadly i haven’t yet. I bet it was quite unique seeing a religion that you might not be used to practiced. It’s just amazing how the world can come together and share their customs with one another. This trip must have been amazing, I would have loved to go on something like this. Im very jealous. I thought it was really crazy how people can come together like they did in your article. Great job! Everything sounds exceptionally ornate and immaculate! I can feel the excitement of your writing and it helps me to comprehend the massiveness of the mosque. What did it smell like when you walked off the bus? I have never experienced culture shock in a way that you have described, but I would very much like to after reading this article! Seems like a wonderful experience! I thoroughly enjoyed reading your article. You have a very descriptive style of writing that made me feel like I was on the tour with you. The things you described are amazing, I can’t imagine what a billion dollar mosque would look like, but you gave me a pretty good ides. I’m glad this experience incited your passion for travel, I have similar interests.